Winners from National Scrapbook Day! I have the PP “365 Degrees” theme set and the BG “Basics Kraft” theme set, and know she’s going to love them. I’ve been wanting the Girls Paperie “On Holiday,” so Julie, you’ll have to let me know how you like it when your goodies come in the mail. She had her choice of any scrapbooking or card sketches book from SCRAPBOOK GENERATION. Gloria chose “Sketches for Scrapbooking, Volume 5.” Good choice … you can’t go wrong with these books. Here are the 4 entries received for the Inspire Us contest and what supplies they used that are also sold by MEMORY WORKS. 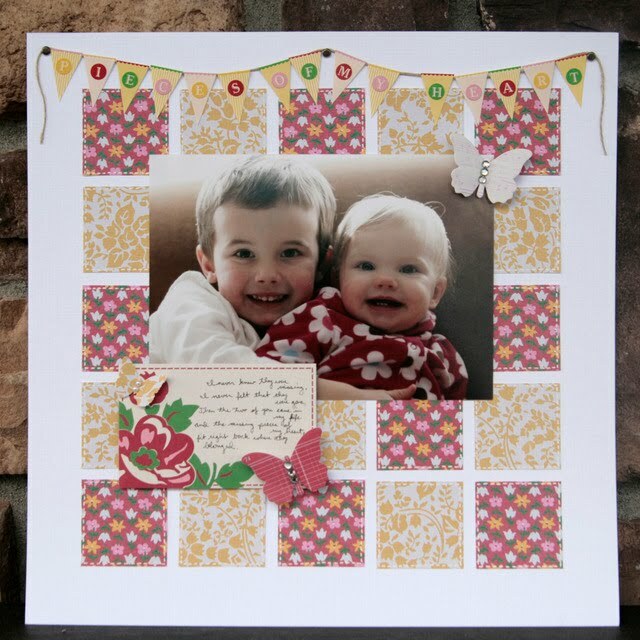 A sweet layout with some really cute kids by ERICA. She used Jenni Bowlin BUTTERFLIES. 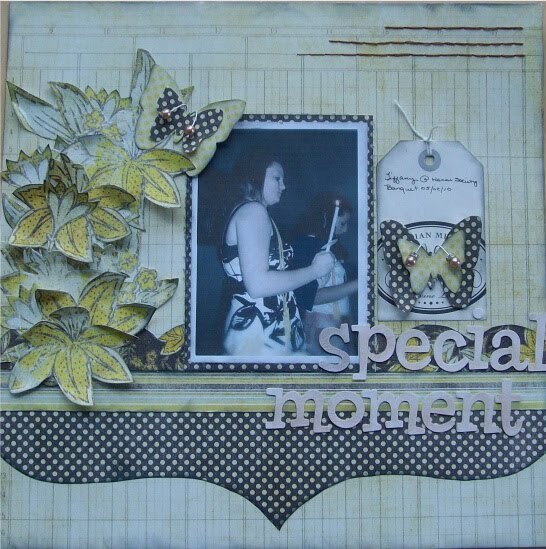 A gorgeous layout by JULIE (winner of game #3! 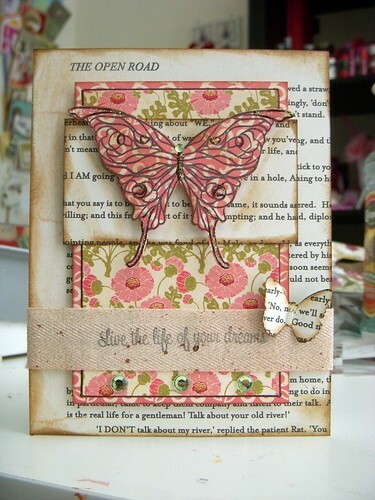 ), using QUEEN BEE papers from Pink Paislee and a great sketch from the MY LITTLE SKETCH BOOK blog. Thank you so much to everyone who participated in my contests for National Scrapbook Day. Let’s do it again next year! Thanks, Erika. Will be so happy to have that sketch book and will use it lots. Enjoyed your contest. congrats to all the ladies I had a great time, and thank you Erika you are such a wonderful host. Congratulations to the winners! Thanks for posting my card!